We gratefully acknowledge the help of Adam Chadwick, Curator of the Cricket Museum at Lord's, for his help in identifying the sitter in the portrait. In 1970 Captain G Milford Cottam donated to Lord's Museum a cricket costume which had belonged to his great-great grandfather, Henry Daw of Christchurch. 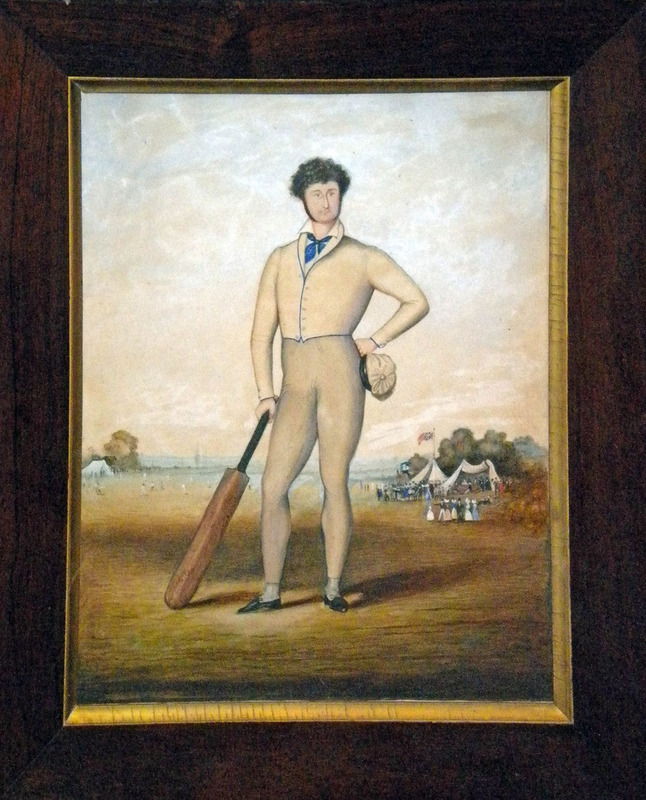 He also gave them a modern copy of the watercolour portrait illustrated below which is signed and dated 1821 by A.C.Varres. The Cottam family retained the original watercolours of their ancestor until they were acquired by us. The cricket costume now in the Lord's Museum is the one worn in the present watercolour. It is the earliest surviving set of cricket “whites” in the world.